BRUSSELS -- Several EU countries, including Italy, France and Spain, have delayed the adoption of stricter car emissions tests, despite evidence that this has allowed pollution to go above legal limits, a report by the European Parliament said. The draft conclusions of the parliament's investigation into the Volkswagen emissions testing scandal also blamed delays on the EU executive's desire to protect Europe's powerful car industry following the 2008 financial crisis. "In 2012, there were already clear signs that something was wrong with the emissions of diesel cars," Dutch Liberal politician Gerben-Jan Gerbrandy said of the draft report, seen by Reuters. "Dieselgate would not have happened if our national governments and the European Commission had acted." 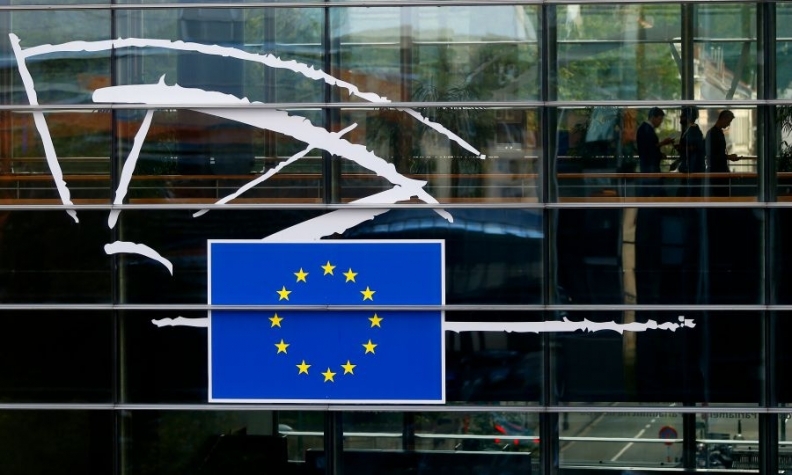 The draft, which will go to a parliamentary vote early next year, recommends a shake-up at the European Commission to have a single Commissioner in charge of both policies on addressing air quality as well as the sources of pollutants. The Commission said it would not comment until the report was final. It began legal action this month against seven countries for not properly policing car emissions. On Tuesday the Commission meets with representatives of the bloc's 28 nations to decide on strengthening new on-road emissions tests that will supplement laboratory-based ones, whose flaws were laid bare by the VW diesel emissions scandal. The new measures would extend testing from next September to ultrafine and health-harming particles emitted from the new generation of gasoline direct injection engines (GDI), but carmakers are calling for the measures to be delayed until 2019. "Regulatory uncertainty simply leaves too little time for manufacturers to make the necessary changes," Erik Jonnaert, the head of European industry association ACEA. The Commission said in turn it had long made clear its intentions: "Car manufacturers should already start designing vehicles with lower particle emissions," a Commission spokeswoman told Reuters. "Public health is at stake." The Transport & Environment campaign group says cheap technologies such as gasoline particulate filters (GPF) already exist to reduce pollution from GDI engines, which emit as much as 10 times more particles than previous generations of engines. A year after VW admitted to cheating in the United States, EU sources say France and Germany are expected to back the Commission's proposal for stronger rules by next year. But it remains unclear whether Italy, Spain and a number of states in eastern Europe will do so. "The vote is very much on a knife edge," Greg Archer of T&E said. If the new rules are approved, they will also regulate cold engine starts in a bid to reduce pollution from short city trips and require carmakers to make emissions performance information available to consumers.